One of the most common fears people struggling with drug and alcohol addiction have is how to seek treatment without putting their job at risk. 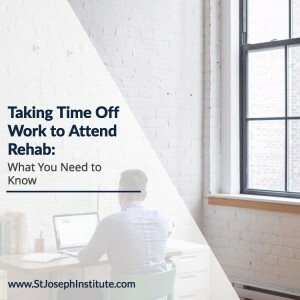 While this issue does need to be handled carefully, evidence suggests that seeking treatment is much more likely to provide a boost to your career as opposed to simply ignoring your substance abuse problem. When you’re sober, you’re free to focus your attention on achieving your career goals instead of dealing with the effects of your addiction. My boyfriend is in a predicament. He needs to go to a detox and get medically cleared due to an opiates addiction that he desperately is looking to end. However he loves his job and does not want to lose it. Should he ask his boss and be honest that he was prescribed these medications without the knowledge that he would grow sick from not having them and now needs to attend a 7 day detox. Should he be honest with his boss? He has worked there for 3 weeks and is excelling in his career. What should he do? Please help with some advise, God bless. Hi Susan, his health needs to come first and he should deal with his addiction before it gets worse. Is there someone in HR at his company that he can speak with in private?